Manchester United are planning a major overhaul in the summer, as they plan to axe five names from Old Trafford. According to The Sun, Jose Mourinho has been told by his higher-ups that he would need to offload players before he can make big money signings again in order to rebuild the squad. 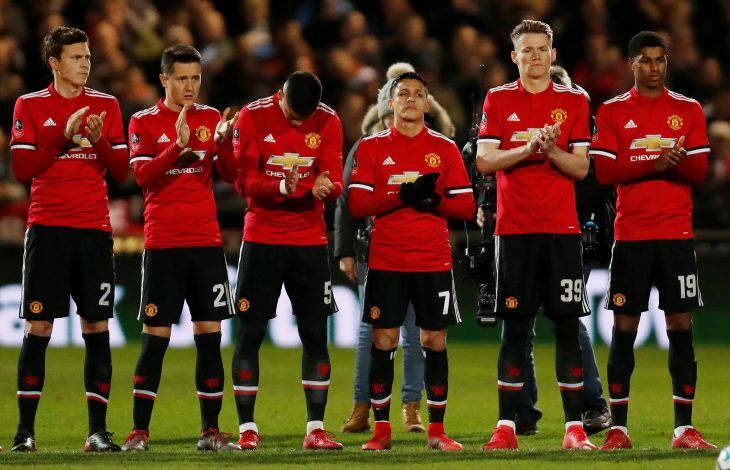 Chris Smalling, Luke Shaw, Ander Herrera, Daley Blind, and Matteo Darmian are some big names included in the unfortunate list of players that will likely depart in the summer. The Red Devils expect ‘big returns’ from the deport of these players. United reportedly want at least £25 million for Smalling, £14 million each for Darmian and Blind, £27 million for Herrera, and £28 million for Shaw, who recently had a training ground bust-up with the gaffer. WATCH: Who Will Be United’s Next Number 10? Meanwhile, Paul Pogba is also said to be in a sour relationship with Mourinho at the moment, and there could be some developments regarding his future as well. It was reported that a sum around £130 million has been allotted as transfer budget for the summer, plus any additional funds from sales. A United source reportedly told The Sun: “The club want some big returns for some of the fringe players this summer with a big clear-out planned. They want money back for a lot of the players and to make cash on others. Jose is still being told he needs to raise significant funds.